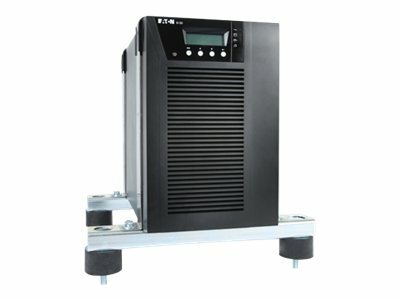 Eaton marine UPSs are designed to meet the most stringent industry standards. The double-conversion online topology with a static bypass switch is Eaton’s choice for marine use. This topology protects against all types of power disturbances that may occur in the supplying network and is the only topology that meets the highest performance class, VFI-SS-111, requirements. All Eaton UPSs are tested and certified to meet appropriate safety and EMC standards. 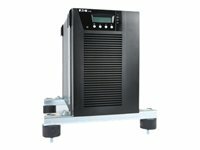 Online UPS with automatic by-pass and power factor r correction. Qualified design for marine and offshore environment. 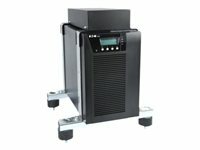 DNV and ABS Type Approved UPS. Easy to install. Support rails can be bolted or welded. Enables prolonged runtime of essential equipment during power outages. Internal automatic bypass static switch. ABM Technology charges batteries only when necessary and prevents corrosion and rechargeable batteries to prolong life by up to 50%. Connection options are available for almost any network environment. Required for IEC-EN 60945 compliance.